Others receiving votes: Henderson Co. 13. Conner 5. Lou. Ballard 3. Meade Co. 2. Lex. Tates Creek 1. Others receiving votes: Owensboro 12. Christian Co. 10. Lincoln Co. 4. South Laurel 3. Pulaski Co. 2. Grayson Co. 1. Others receiving votes: Russell Co. 10. Harrison Co. 8. East Carter 8. Franklin Co. 7. Hopkinsville 6. Allen Co.-Scottsville 6. Greenup Co. 3. Scott 1. Madisonville-North Hopkins 1. Others receiving votes: Lou. Waggener 6. Western Hills 6. Floyd Central 5. Bardstown 3. Bath Co. 2. Others receiving votes: Newport 10. Newport Central Catholic 8. Lloyd Memorial 8. Murray 2. Hancock Co. 2. Others receiving votes: Fulton Co. (1) 20. Lou. Holy Cross 14. Bellevue 11. Pineville 7. Williamsburg 7. Bishop Brossart 5. Lou. Ky. Country Day 4. Phelps 4. Russellville 2. 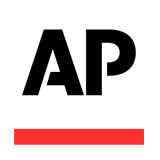 All Associated Press members in Kentucky are eligible to participate in the high school football poll. Those who voted for this week’s poll are: The Daily Independent, Ashland; Daily News, Bowling Green; Kentucky Enquirer, Cincinnati; The News-Enterprise, Elizabethtown; KPG Football; Daily Enterprise, Harlan; The Gleaner, Henderson; Kentucky New Era, Hopkinsville; Lexington Herald-Leader, Lexington; The Courier-Journal, Louisville; The Ledger Independent, Maysville; The Mayfield Messenger, Mayfield; The Paducah Sun, Paducah; Times Leader Princeton, Princeton; WDKY, Lexington; WKYX, Paducah.